Superfoods can make a big difference in your overall health, and the addition of them to your diet can also help you make healthier food choices! Superfoods are incredibly nutrient dense and thought to help boost health, and for many of these foods, a little goes a long way. Something as simple as adding a tablespoon of some superfood seeds, or a teaspoon of spirulina to your diet can really go a long way in helping boost your health and help you feel your best. Let’s take a look at five superfoods to add to your diet for optimal health. #1 Superfood Seeds: Superfood seeds like chia, flax, and hemp are packed full of health benefits. These seeds may be tiny, but they are mighty! Rich in omega-3 fatty acids, fiber, and anti-inflammatory properties, these superfood seeds make an excellent addition to a healthy diet. Try adding a tablespoon of hemp, chia, or flax seeds to your smoothie, or sprinkle hemp seeds over a salad for a nutty flavor and added crunch. #2 Dark Leafy Greens: Veggies are an essential part of a healthy diet, and dark leafy greens can add in a ton of nutritional value. Things like kale, spinach, and collard greens are rich in vitamins, minerals, and phytonutrients to keep inflammation at bay. #3 Anti-inflammatory Fruits: Adding as many anti-inflammatory foods to your diet while eliminating the foods that cause inflammation is a key part of supporting overall health. Anti-inflammatory fruits like berries can help reduce your overall inflammatory load while also boosting your daily fiber intake, keeping your digestive system healthy. #4 Anti-inflammatory Spices: Try adding some anti-inflammatory spices to your everyday recipes. Things like turmeric, ginger, cayenne pepper, and even cinnamon can make a delicious and nutritious addition to a healthy diet. 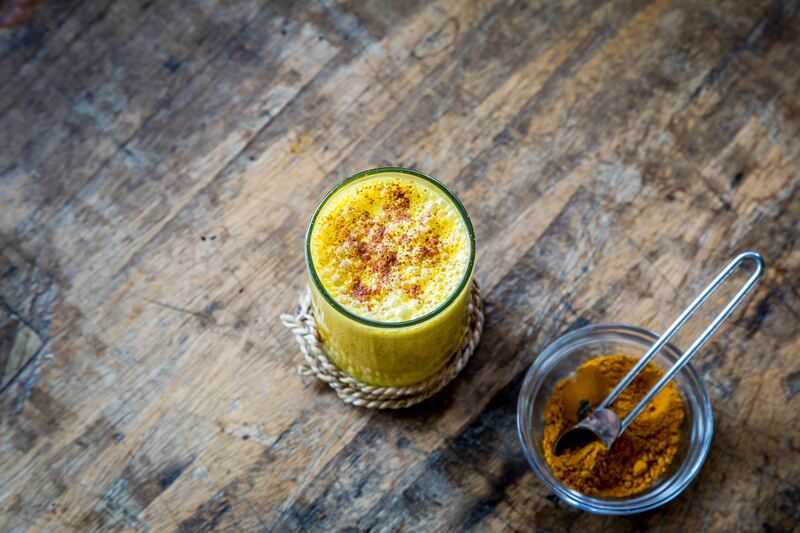 You can also make a turmeric milk latte using full-fat unsweetened coconut milk, ground turmeric, a pinch of cracked black pepper, and a drizzle of raw honey. Looking for an added health boost? Add a serving of one of our Magnificent Mushrooms blends to your turmeric milk latte. #5 Spirulina: Spirulina is a plant-based superfood that is packed full of iron and antioxidants. This superfood is thought to help lower cholesterol, blood pressure, and boost overall health. Try adding spirulina to a smoothie for an added superfood boost. To help support overall health, try adding these superfoods to your diet while eliminating as many inflammatory foods as you can. If you make it a goal to add one superfood to each meal, you will do wonders for your health one healthy food choice at a time.